Material: 70% viscose, 25% polyester, 5% elastane. Beautiful tricot dress with lovely lace details from HAPPY HOLLY. The dress has a lace detail at the neck and a short, lace turtleneck, as well as a beautiful lace detail at the cuffs. 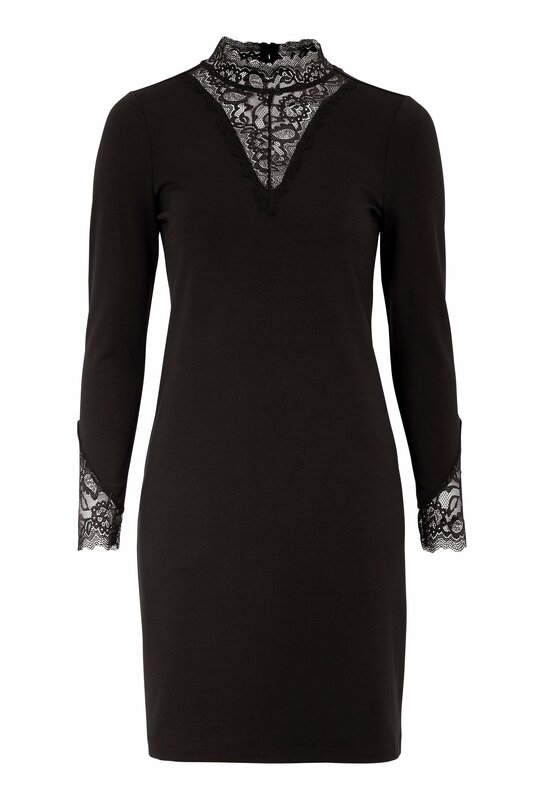 - V-necked with lace detail at the neck and with a short turtleneck. back length from shoulder 92 cm, bust 89 cm in sizes 36/38.